Vote Michael Cole State Representative Ohio 26th House District.  Michael Cole is your experienced leader answering Central Ohio’s call to strengthen public education, broaden career pathways and improve quality of life in Ohio’s 26th House District. Michael Cole is committed to moving Ohio forever forward.